Kiss performs with Mötley Crüe on August 16 at Concord's Sleep Train Pavilion. Whether one's taste is mellow or outlandish, fans of American rock music have much to rejoice in this week as three of the country's iconic bands stop in the Bay Area. Red Hot Chili Peppers appear on August 14 and 15 at Oracle Arena in Oakland. The band has been on a prolific streak while on tour, writing several songs for forthcoming projects, and drops the first of nine singles collectively known as the I'm With You Outtakes on August 14. Bassist Flea has just released his first solo EP, too, so expect to hear some new tunes in with the now-classic cuts. It has taken several decades for this long-haired dream team of a show to happen here, but Kiss and Mötley Crüe hit the Bay Area on August 16 at Sleep Train Pavilion in Concord for 107.7 The Bone's Bone Bash XIII. 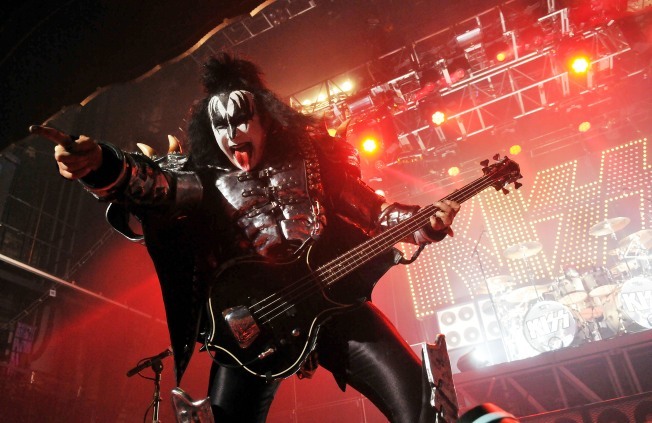 Concertgoers are advised to wear layers for what might be a chilly night, but there will probably be some good heat generated by whatever pyrotechnics might be in store, not to mention Kiss frontman Gene Simmons' fire-breathing antics. A planned August 15 concert at Shoreline Amphitheatre in Mountain View has been canceled, so this is the only local date for now. Just imagine how good the people-watching will be.